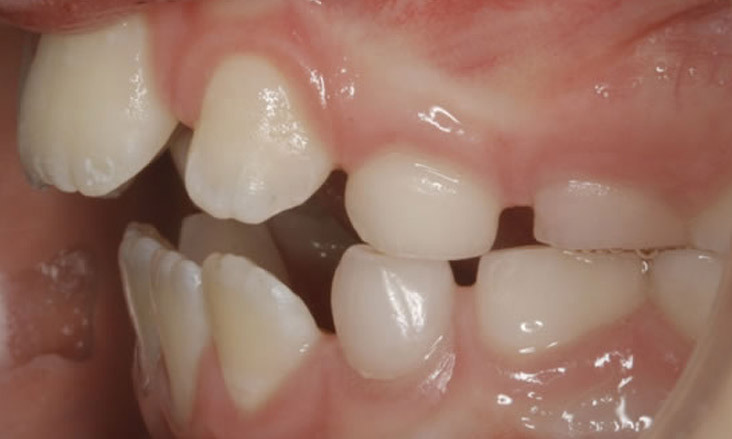 This patient was 10 years 8 months old and was a chronic thumbsucker. 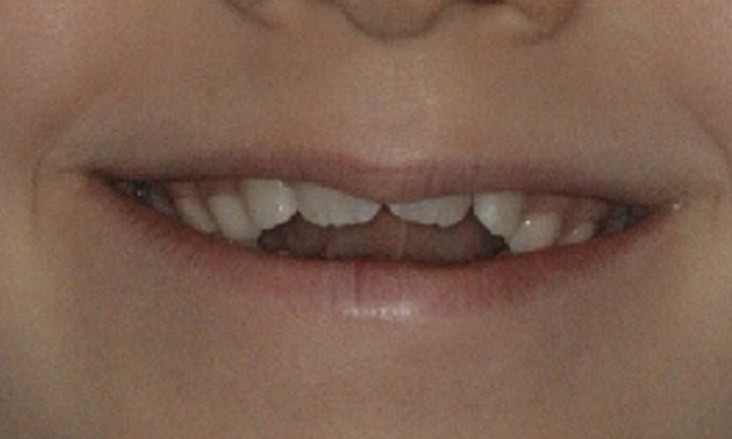 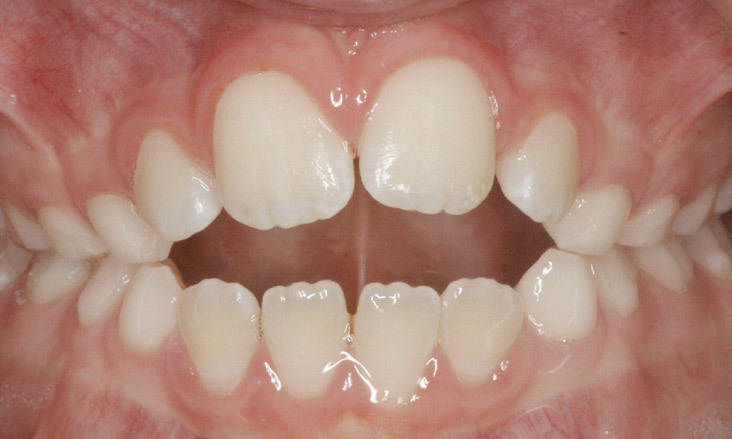 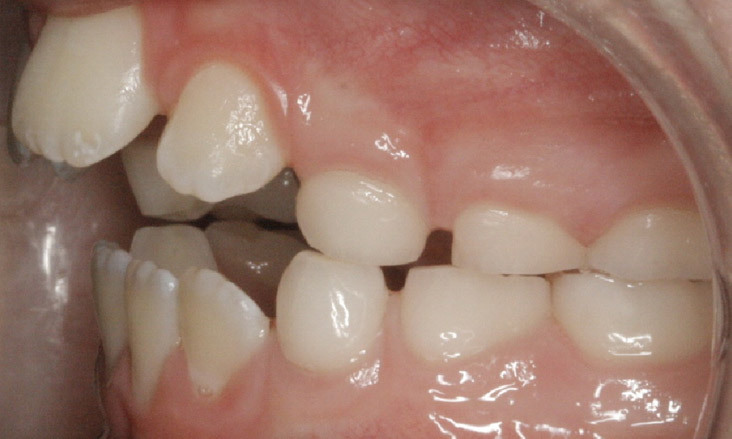 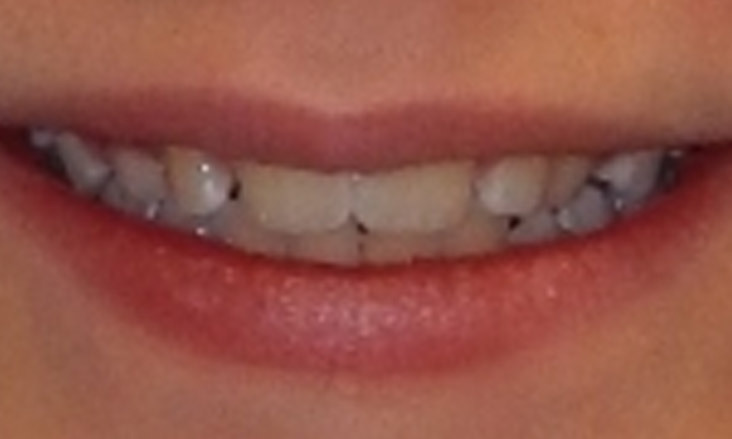 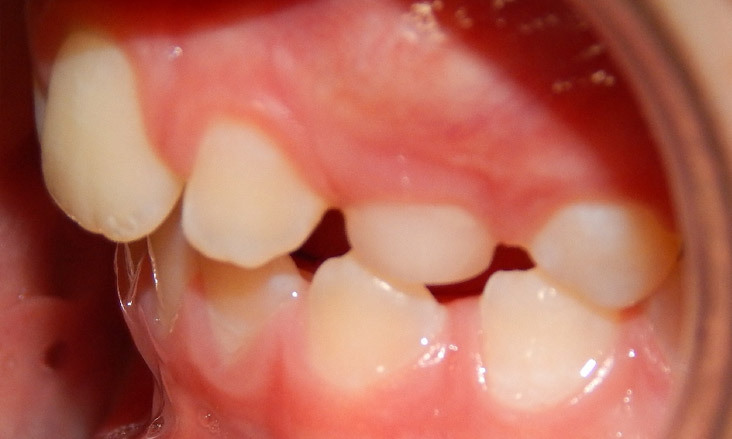 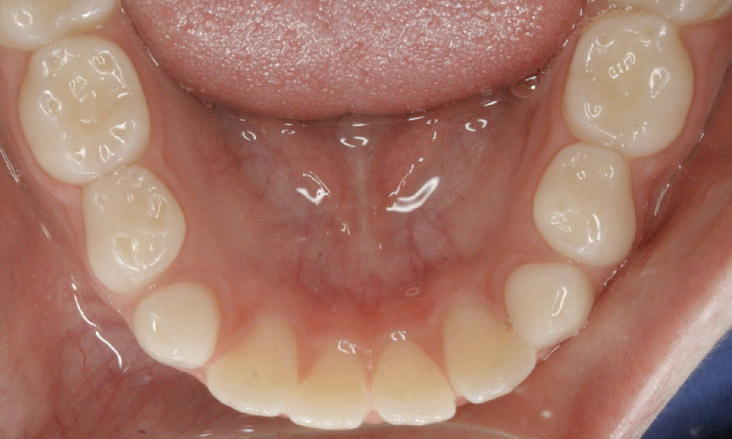 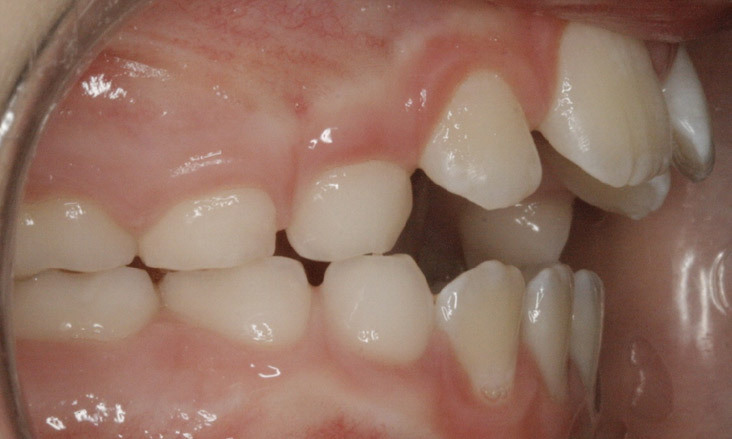 This resulted in lack of vertical overlap of the front teeth, the upper front teeth pushed forwards and the lower front teeth pushed backwards and some mild narrowing of the upper teeth in the back (crossbite tendency). 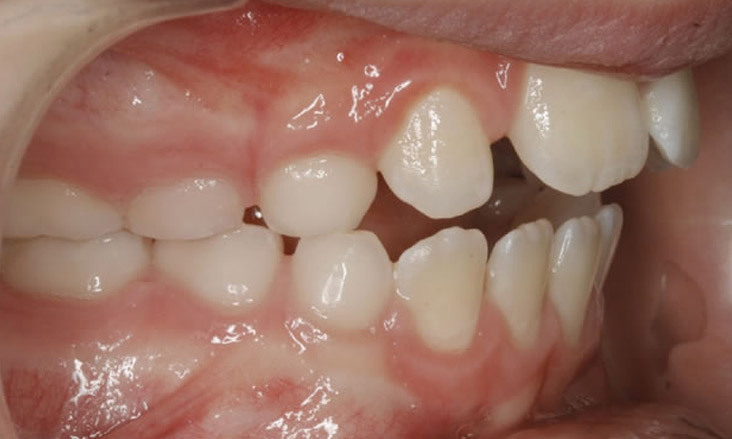 The patient used a bandaid on his thumb as a reminder to not put his thumb in his mouth. 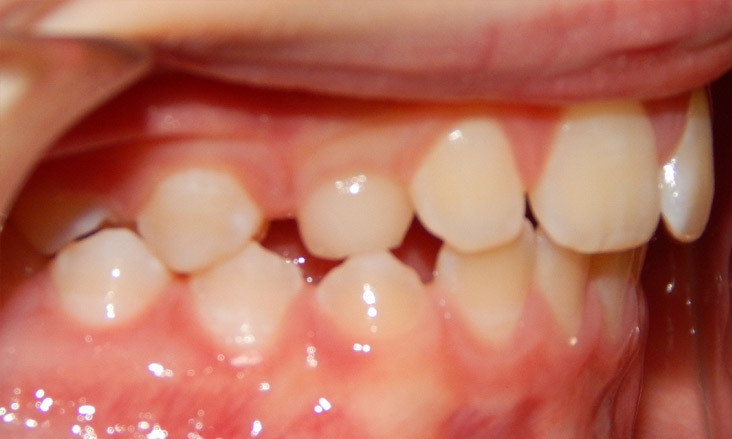 When you take away the reason for tooth movement the positions of the teeth may recover. 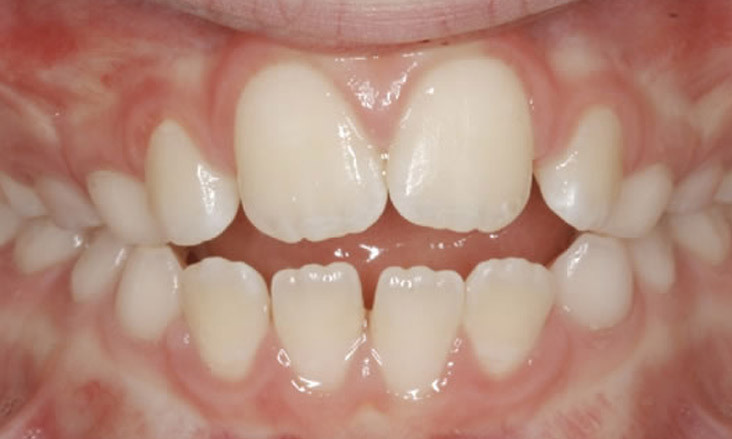 Six months after the patient stopped thumb sucking significant improvement to the vertical position of the front teeth has occurred. 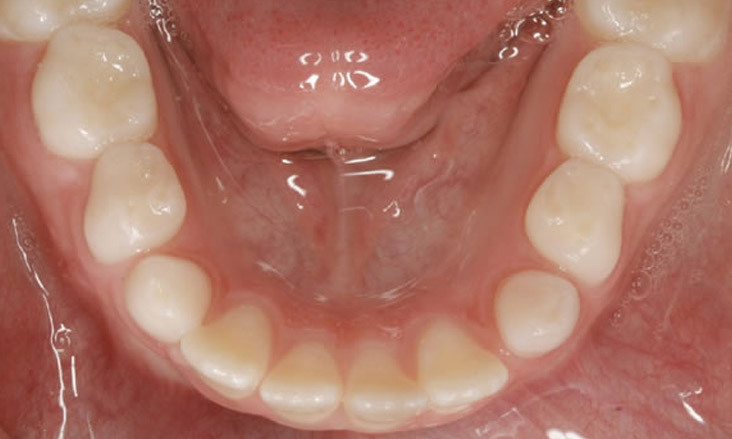 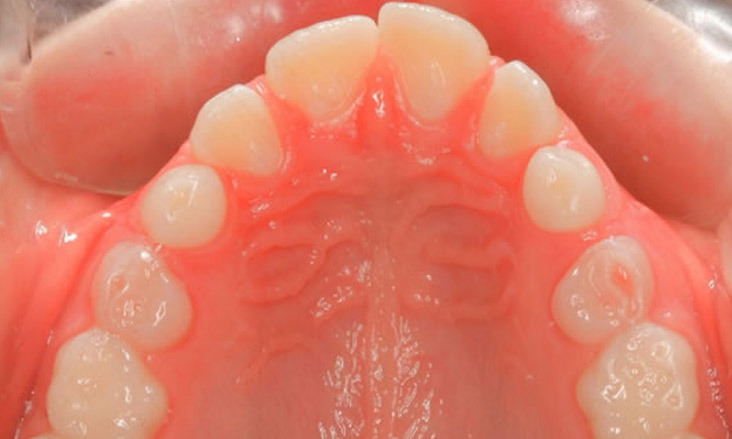 Eighteen months after the patient stopped thumb sucking most of the changes to the positions of the teeth that had been caused by the thumb sucking have corrected. 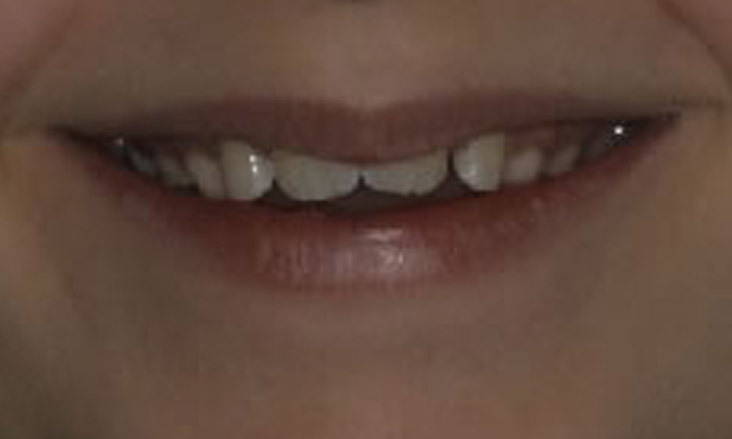 The upper teeth are now in a reasonable vertical position. 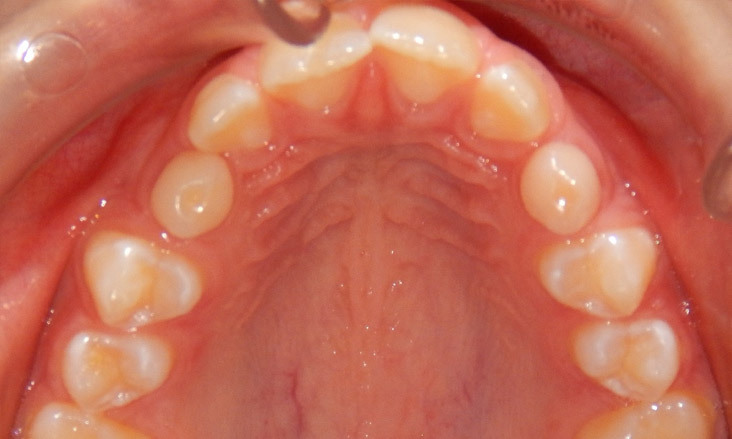 The upper posterior teeth have moved laterally so there is no crossbite tendency now. 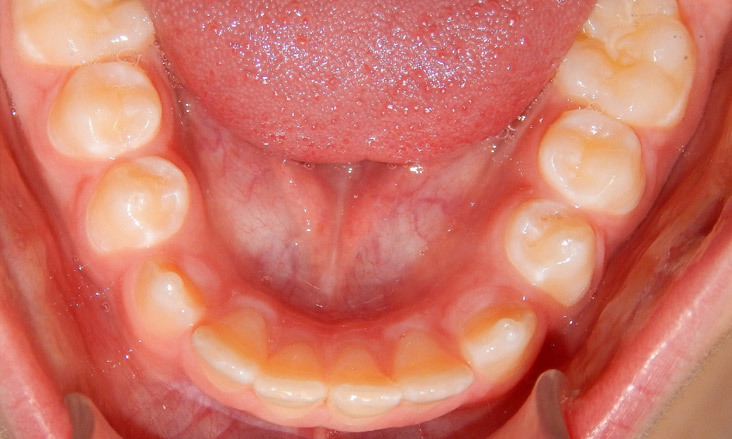 While this improvement without active management can occur, it is unusual. 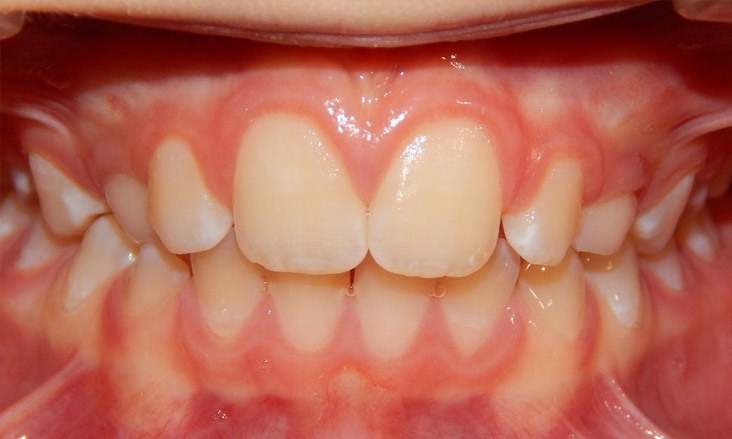 The younger habits can be ceased the more likely the improvement will happen without orthodontic intervention. 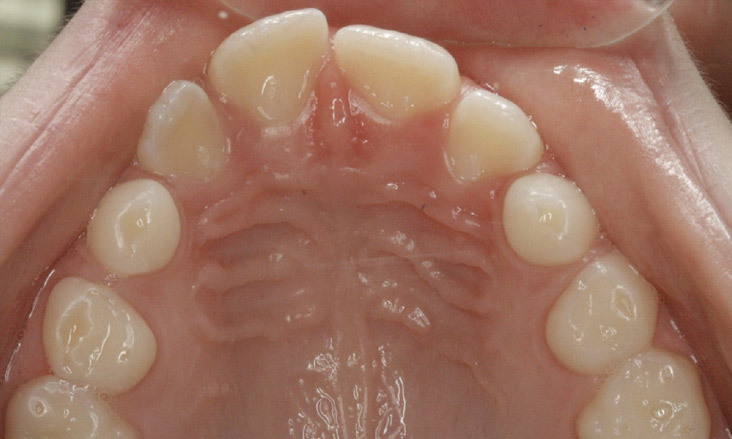 This example goes to show that at any age it is worth giving nature her chance to improve the positions of teeth.